The City of Frederick has awarded the lease of a 620,000 SF site at Frederick Municipal Airport (FDK) to the Aircraft Owners and Pilots Association (AOPA) for the development of a hangar complex consisting of up to 194,400 square feet of general aviation aircraft hangars. FDK is the designated general aviation reliever airport for Baltimore Washington International Airport and is the preferred executive airport for the region. A model for airport self-sufficiency & sustainability, the new partnership engages private investment to deliver critical aircraft storage facilities that are in high demand at FDK, while simultaneously generating revenue for the airport through leasing. Under the terms of the multi-year lease agreement, AOPA will assume responsibility for the phased design, construction, and management of the new multi-hangar complex. In the first 24-month phase, AOPA will deliver six 60’x 60’ hangars and thirty 45’ door T-hangars. A second and third phase are to be completed according to demand – with the ultimate ability to build up to nine total buildings, 110 box and T-hangars. The new hangar complex will nearly double storage capacity at the rapidly expanding FDK. With more than 82,000 aircraft landings and takeoffs each year, Frederick Municipal Airport is already the third busiest airport in Maryland and continues to transform to meet the demand created by its close proximity to both Baltimore and Washington D.C. In 2012, the facility’s control tower was constructed to safely regulate growing traffic to the airport. 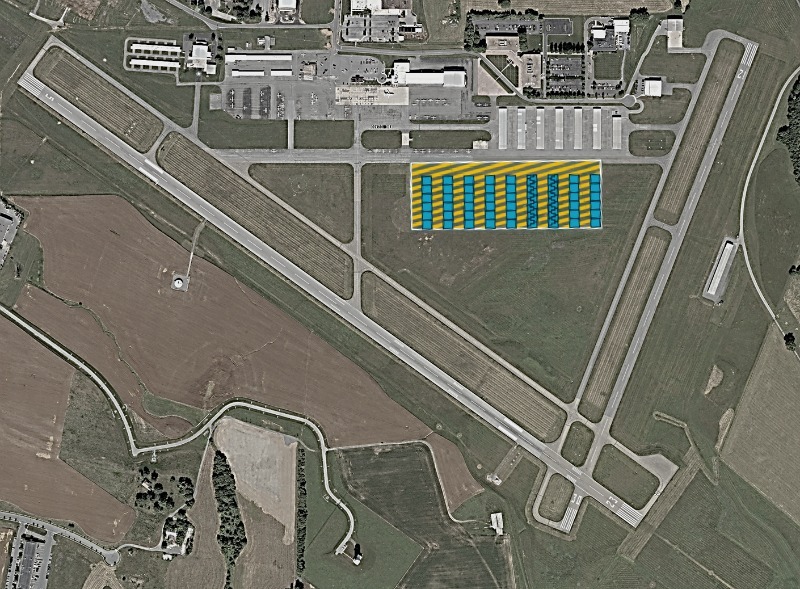 A runway extension project is also currently underway to increase the length of the main runway to 5820’ by 2020 -- improving safety margins for all aircraft and allowing larger corporate jets to operate out of Frederick with greater fuel and passenger load.